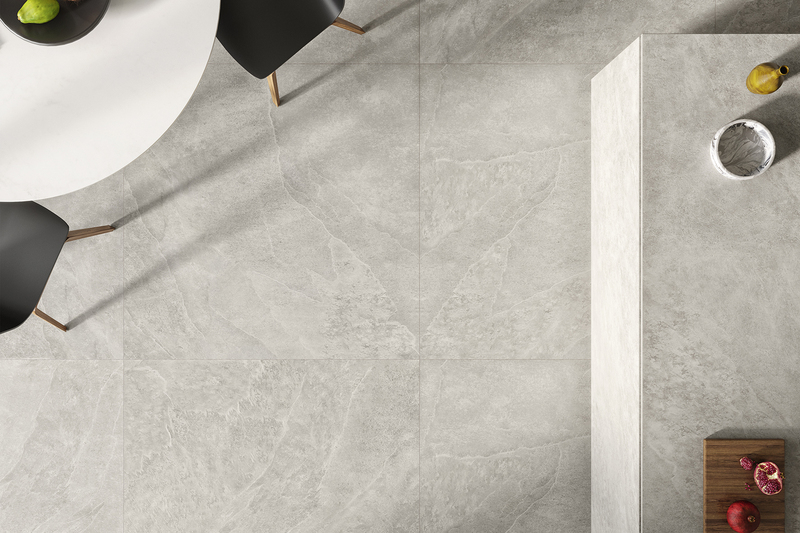 Impressively large but at the same time, extremely slim: what was still unthinkable only a few years ago in the production of ceramic tiles has become a reality today, thanks to the use of innovative technology. 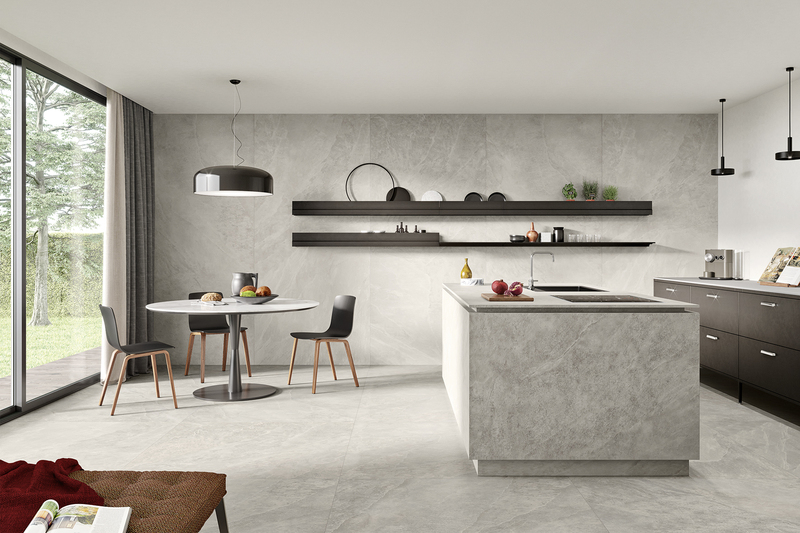 Gres Steuler is presenting its new collection for the coming tile season including the imposing “Kalmit” porcelain stoneware series in a super king-size 120 x 260 cm format - and with a material thickness of an incredible six millimetres. Some may remember that Steuler was one of the first manufacturers in the world who dared to take the step into the large format area of competence at the turn of the millennium with the “Megaceram” collection – now this sector is being carried forward still further. 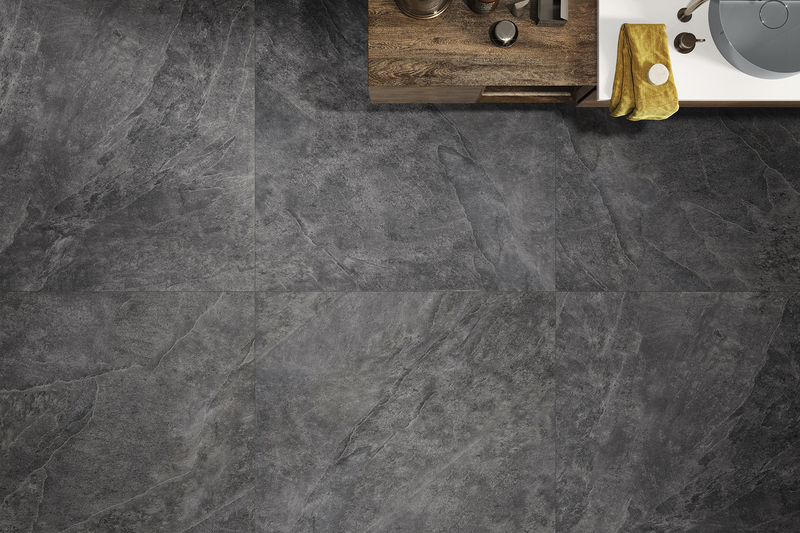 The surface qualities of the “Kalmit” resemble natural sedimentary rock textures such as shale. 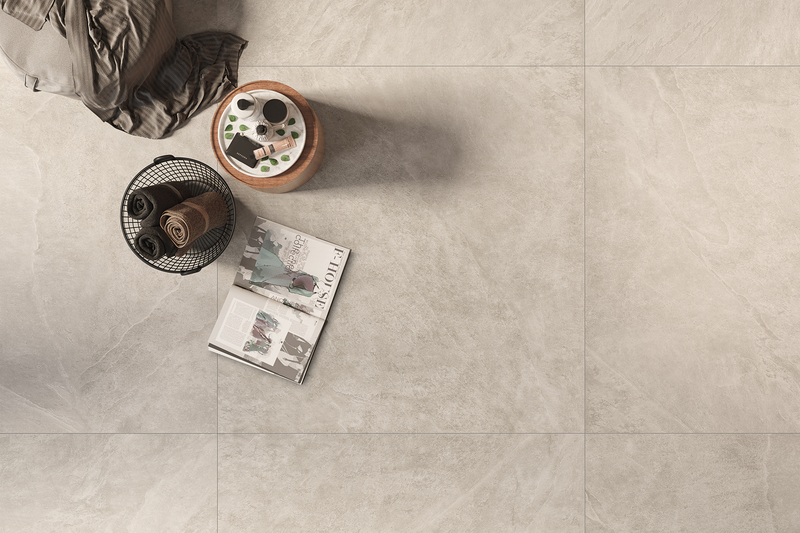 The product managers at Mühlacker decided on the tones of sand, cement, taupe and graphite when choosing the colours. “We are attending to current demands in architecture with this rather restrained choice of colours,” explains Matthias Hansel. “They can be used to design ‘peaceful’ surfaces. But yet, on closer inspection, they display a surprising vibrancy,” according to the Head of Export. 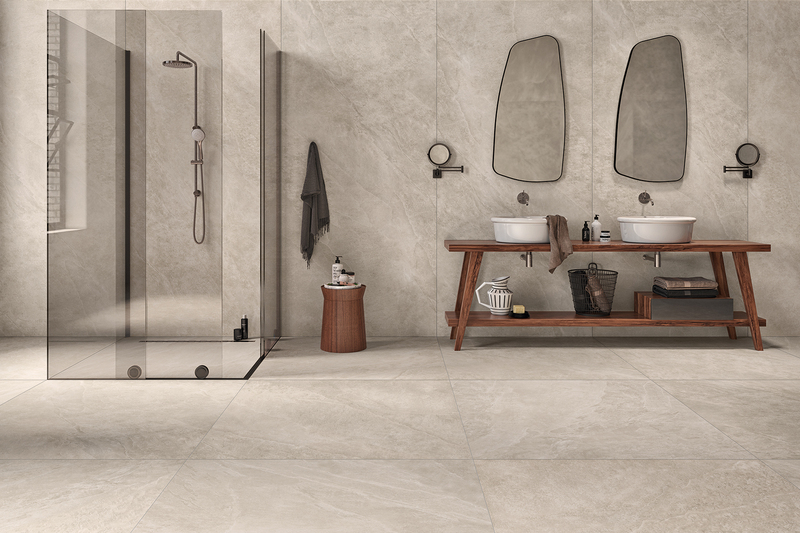 The different images on the surfaces convey a natural, varied appearance with lots of details. The unobtrusive colouring on the “Kalmit” gives it a versatile range of uses. 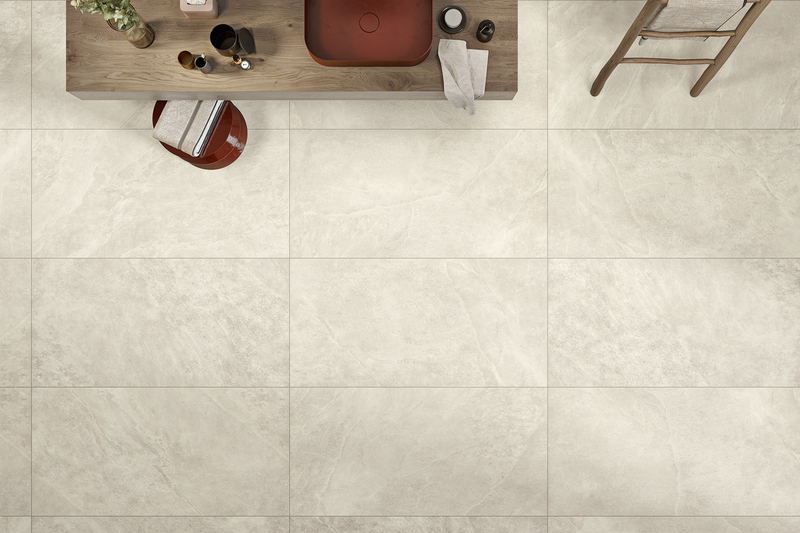 The rectified porcelain stoneware series in R10/B is equally suitable for the floors of a modern loft apartment or for laying in a rather more rustic ambience. 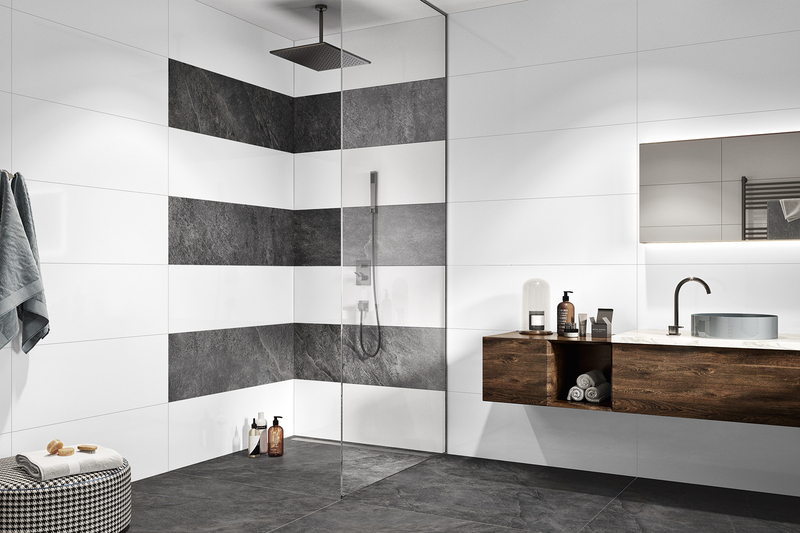 This understated, high quality tile is also conceivable and totally suitable for an almost jointless wall in a living room or bathroom. The “Kalmit” is completed with the “easy-lay” formats of 120 x 120 cm, 60 x 120 cm and 40 x 120 cm. 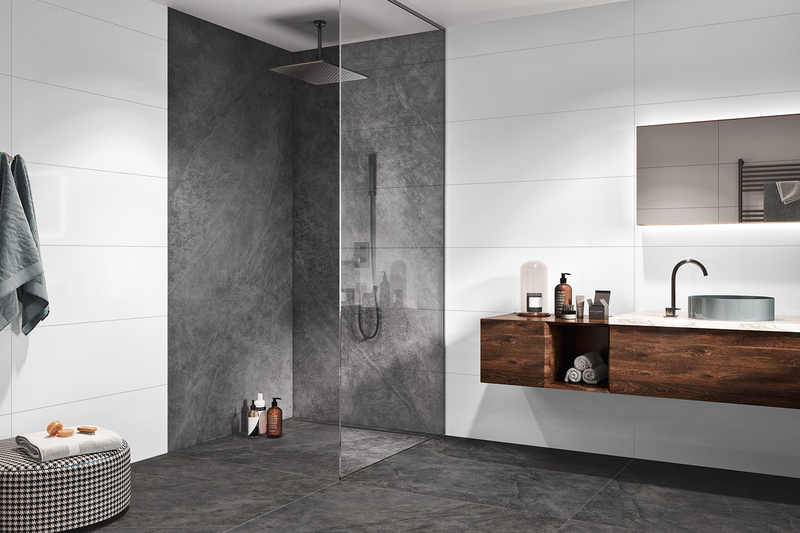 The latter was designed as an ideal option for combining with the 40 x 120 cm stoneware wall tiles from the manufacturer’s range, which are likewise offered in a material thickness of 6 mm. 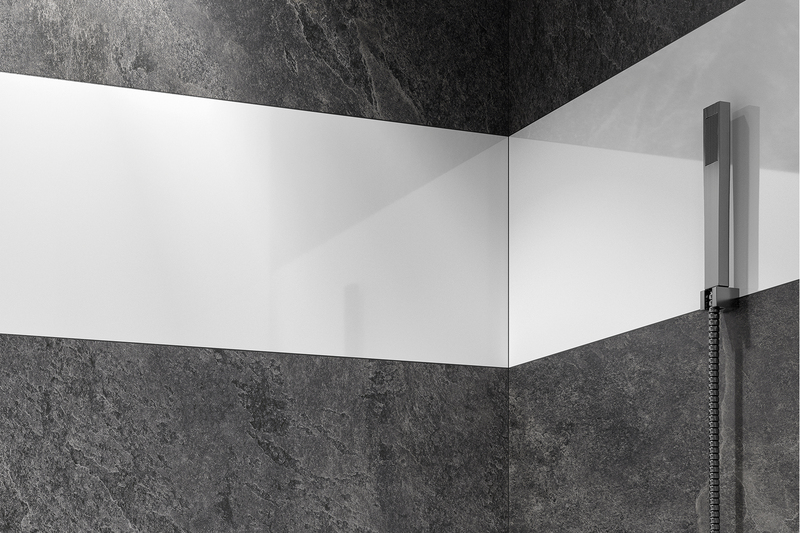 The full range also includes a plinth in 7.5 x 120 cm, a stair tile in 30 x 60 cm and mosaic in 30 x 30 (5 x 50) cm.